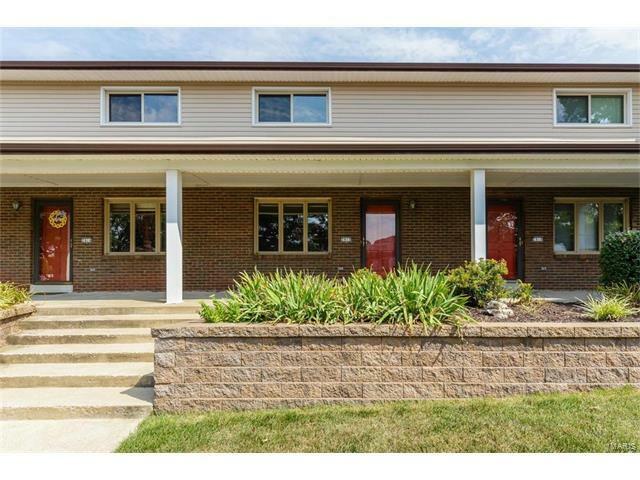 Great Opportunity for a buyer in St. Charles City! Immaculate two bedroom one and a half bath townhouse with a partially finished basement. Floor plan offers the bedrooms and the full bath on the second floor. Main floor has the living room and kitchen. Basement has a recreational room, half bath, and laundry facilities. Updates include remodeled kitchen & upstairs bath, and new carpeting throughout. Furnace is approximately 7 years old per the owner. Unit offers a covered front porch and covered back porch. Townhouse is in really good condition. The location has excellent access to parks, shopping, highways, schools and the library. First Captitol to West Clay to Right on Droste, Right on Yale, Left on Mayer.